“Catalyst” is often referred to as a prime agent of change. In the world of turboprops, there has been very little “catalyst-worthy” change to the Business and General Aviation (BGA) segment. In fact, it’s a market that hasn’t seen much technological infusion in decades. That was at least until GE Aviation’s Advanced Turboprop entered the conversation. When Brad Mottier, vice president of GE Aviation’s BGA and Integrated Systems business, announced that the new name of the Advanced Turboprop is the GE Catalyst™ engine, he was quick to point out how much change this new engine will bring to the turboprop market. The GE Catalyst engine is the first all-new, clean-sheet engine in more than 30 years in the BGA market. There are currently 98 patented technologies on the engine. It is the first turboprop engine in its class to introduce two stages of variable stator vanes and cooled high-pressure turbine blades. It performs at an industry-best 16:1 overall pressure ratio, enabling the engine to achieve as much as 20 percent lower fuel burn and 10 percent higher cruise power compared to competitor offerings in the same size class. At 4,000 hours, the GE Catalyst offers 33 percent more time between overhaul than its leading competitor. GE has incorporated new manufacturing techniques like 3D printing to enable more advanced component designs and reduced part counts. A total of 855 conventionally manufactured parts has been reduced to 12 additive parts. This reduction in complexity speeds production, reduces fuel burn and weight and increases durability with fewer seams and tighter tolerances. Additive components reduce the ATP’s weight by 5 percent while contributing a 1 percent improvement in specific fuel consumption (SFC). GE is introducing the first Full Authority Digital Engine and Propeller Control (FADEPC) for the BGA turboprop market. The GE Catalyst is the alternative to traditional turboprop hydro-mechanical, multiple-lever control systems. GE Aviation leveraged its expertise in integration and controls on the engine to develop a single-lever control that offers a “jet-like experience” to reduce pilot workload and maximize performance without exceeding the engine’s limitations. The GE Catalyst was designed with digital in its DNA tailored for preventative health maintenance to avoid unnecessary repairs or downtime using the latest commercial airline technology. The engine is equipped with sensors that can capture part-level performance characteristics for OEM needs. Furthermore, the GE Catalyst’s fully integrated digital control system provides the architecture required to deliver personalized support. The system collects performance data during each flight and can determine what environment the Catalyst is flying in, the health of the engine during the flight, as well as the health of the controls and accessories. The cloud-based data is transmitted and collected to create a virtual simulation – or a “digital twin” – of every Catalyst engine that enters service. With this data, operators can add weather, flight and fleet data to compare actual versus expected performance of the engine. 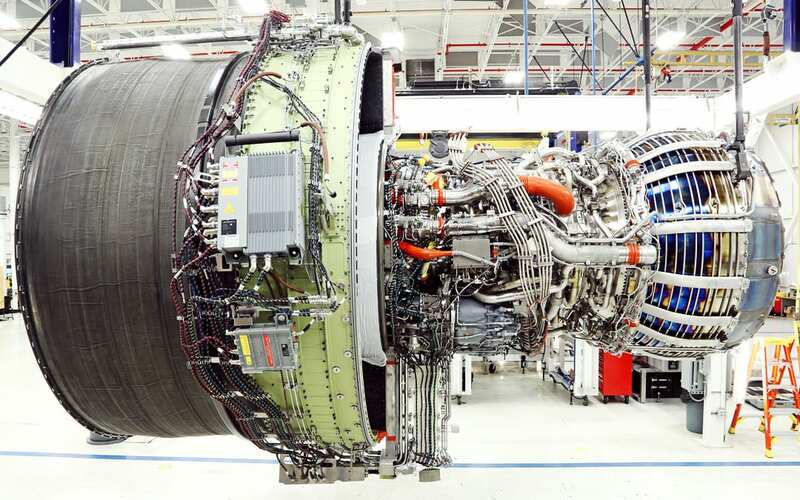 GE Aviation can send alerts specific to engine serial numbers. No other civilian turboprop is currently using a digital twin for preventative health maintenance, however, GE Aviation is using the digital twin on its commercial and military technology.